Although Lord Caitanya stated that varnasrama is external to bhakti (CC Madhya 8.59), all Vaisnava acaryas have recognized the importance of varnasrama in regulating society, and that it should be followed by devotees at least until they reach the perfectional stage. Srila Bhaktivinoda Thakura particularly emphasized the need for daiva-varnasrama-dharma, stating that premature abandonment of it had led to mere imitation of advanced bhakti by persons who were actually fallen (prakrta-sahajiyas). Srila Bhaktivinoda Thakura instructed Srila Bhaktisiddhanta Sarasvati to establish daiva-varnasrama-dharma and the pure chanting of the holy name. These two are linked, for the widespread chanting of the holy name necessitates the support of daiva-varnasrama-dharma; otherwise as history has shown it devolves into offensive chanting by prakrta-sahajiyas. Thus when Srila Bhaktisiddhanta Sarasvati first toured South India, before launching his preaching mission, he took special interest in learning from Sri Vaisnavas and Madhvas about daiva-varnasrama-dharma. 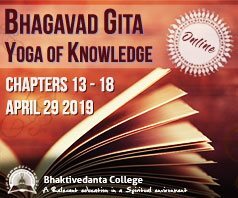 Our own Srila Prabhupada, even before he ventured to the West, proposed reinstituting daiva-varnasrama-dharma (see for instance “Conception of Gita-Nagari,” BTG, May 20, 1956). Srila Prabhupada suffered heart attacks en voyage to the USA in his seventieth year; in his first two years in America he faced several health crises. He knew he didn’t have long, that he could leave at any minute. He mentioned this many times, as can be testified by anyone who regularly hears his recorded lectures. Therefore in the beginning Srila Prabhupada taught the essentials. This is comparable to a devotee who is given one hour to explain Gaudiya philosophy to newcomers. He would focus on the essentials: we are not the body, we are the soul; Krsna is the Supreme Personality of Godhead and we are His servants; karma; the importance of chanting the holy name, etc. He might, but probably would not, mention something about daiva-varnasrama-dharma. Similarly, Srila Prabhupada first established the essentials. 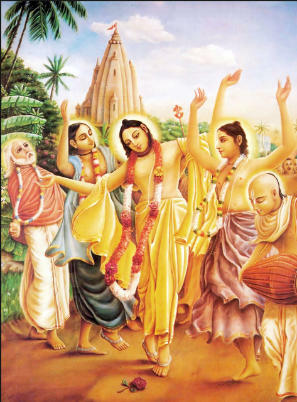 After coming to the West, among his first books were The Nectar of Devotion and Krsna book. Regarding Krsna book, Srila Prabhupada specifically stated that he wanted it published in case he could not finish the Bhagavatam, which turned out to be the case. In his lectures, conversations, and writings, Srila Prabhupada often discussed daiva-varnasrama-dharma. Yet in the early years he would often say that establishing daiva-varnasrama-dharma was not possible in this age. Srila Prabhupada had high hopes for his new disciples, that simply the chanting of the Holy Name would be sufficient for their spiritual progress, but over the years he was greatly disappointed by the many fall downs. This can be clearly seen by studying Srila Prabhupada views on marriage in ISKCON. 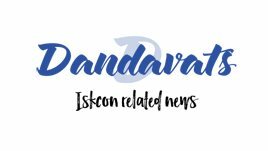 I (Shyamasundara Dasa) have collected a chronological set of statements on Srila Prabhupada’s views about marriage in ISKCON. At first Srila Prabhupada both arranged and performed the marriages of his disciples. He assumed that as devotees and responsible persons they would understand that marriage is a commitment, the purpose of which is to serve Krsna, no matter if you like your spouse or not. Srila Prabhupada himself had never thought of prematurely abandoning his wife or giving up his responsibility to her even though he didn’t like her. But his disciples wholly lacked this type of social consciousness. Many marriages failed, there were divorces, wife-swapping, bed-hopping, and worse. Becoming disgusted, Srila Prabhupada said he would have nothing further to do with the marriages of his disciples and that they married at their own risk. In summary, because he knew he had limited time, Srila Prabhupada first focused on the most essential topics. Only after they were established, and because of obvious failures of his disciples, he began to emphasize less essential but still important topics that supported the essentials. If Srila Prabhupada had remained among us longer, then his movement would have been much different as he would have been able to firmly establish daiva-varnasrama-dharma, as he proposed to do shortly before his departure. He has left to us the task of doing so. And many of the preaching strategies that Srila Prabhupada implemented in the early days might eventually be superseded in varnasrama society. For instance, dressing as Santa to sell books was approved by Srila Prabhupada, but it is not a sacred ritual that needs to be forever enshrined. Similarly, we should aim to eventually supplant all other departures from traditional Vaisnava culture, that were and are a concession to the ignorance and cultural backwardness of those Srila Prabhupada was ministering to (namely, us).